And… action. 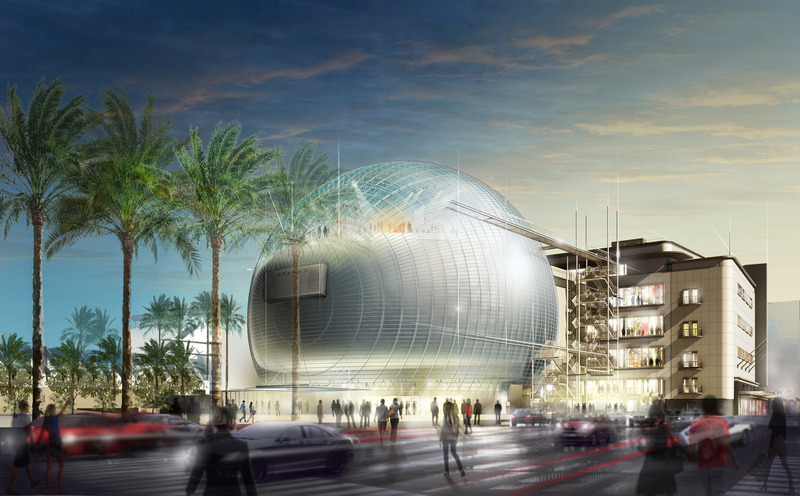 In a unanimous vote the LA City Council approved Renzo Piano’s plans for the Academy Museum of Motion Pictures. 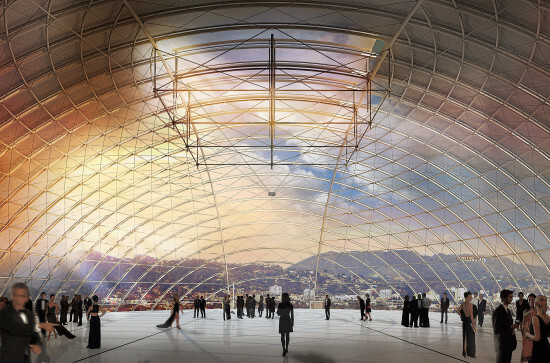 The design, which includes a renovation of the AC Martin’s May Company Building on Wilshire and Fairfax avenues and the eye-popping addition of a 140-foot-diameter glass and steel globe sited behind the existing 1939 building, comes with at $300 million estimated construction cost and hopes to open in 2017. Located next to LACMA, the 290,000-square-foot museum is the third Piano project on the block. Its bold, spherical form (which will house a 1,000-seat theater) breaks character from the architect’s more low-key Broad Contemporary Art Museum (BCAM) and the Resnick Pavilion on the LACMA campus. While the City Council’s 13-0 vote ensures that the building moves forward into permitting, the project has seen some bumps in the road. Last year, AN reported that Culver City firm SPF:a, which had been working with Piano on the project since 2012, was removed from the project. The question of traffic and parking in the neighborhood remains a hurdle. The Los Angeles Times reported that activist non-profit Fix the City, is “weighing legal action to stall development.” The organization cites an 860,000 visitor increase to the area as a burden on existing streets and parking lots. When constructed, the sure-to-be iconic Academy Museum of Motion Pictures will compete with the hot-rod facade of the Petersen Automotive Museum designed by KPF, now under construction across the street. Both designs will be trumped if and when Peter Zumthor’s Wilshire-crossing proposal for LACMA takes shape.